can Work Less and make More. Attract more clients in less time and with less effort so you can enjoy your business and family and live your life again! CLAIM YOUR SPOT NOW for a FREE Strategy Call! how your personalized, caring service can’t be matched by the processes used by their bank. your valuable time with leads who don’t qualify for or argue about the financing they want. nights and weekends working instead of spending time on yourself or with family. You mean I have to learn how to do something else now just so that I can compete? Tired of trying to figure out when your work ends and your life begins? I remember the day when I met John (not his real name) as if it were yesterday. He was always hustling new business and normally late for his meetings. He was guilty of trying to do everything himself at the expense of letting his business grow on its own. He had a dream to make enough money in order to provide for his family, and spend more time with his wife and their young children. In his vision, the company was to grow from 8 employees to 20 and in the process break into 7 figures in annual revenues. That would enable him to get off the hamster wheel and spend the time he wanted to be involved with his growing family. John is 'real people'. Maybe you can relate? The problem was he wore too many hats and didn't know how to give some of them away. He was sales, marketing, administration, management, finance and strategy. He was the guy who approved everything and the guy that everything had to be passed by. There was never time to stop and plan. Who am I kidding? There was barely time for him to stop and think. Flying by the seat of his pants was an understatement. Every weekday morning he would sit by his computer waiting to see the financial rates that would dictate the markets just a few hours later, all the while keeping an eye on the financial news channel turned on in his home office. Sometimes he had a great idea following something he had seen, but didn't have the time or even the first idea how to market it. Other times, he knew his existing client base would be perfect for an idea, but had no way to set it up for the website, a banner for Facebook, image for slides or an image for his newsletter. Occasionally he knew if he could just figure out how to make a decent video, he could maybe get people to watch it somehow to bring in more business. And John heard too often from his spouse: "What time are you coming home tonight?" What can I do to create the marketing systems and processes I need to produce consistent income? And, how can I make sure those strategies address the needs of my clients? And, how can I make sure those strategies actually reach my clients? And, what if I don't have a big budget, can I still have a marketing plan in place? And finally, how can I distinguish my business from all my competition? Great! Is it setup as a conversion-focused website to capture new, qualified leads? We get all our business from referrals and social engagements. Then why are you looking for other options online? SURE... Because you have so much of that, right? I promise you that something was wrong with your process. Ads are only a piece of the puzzle. What did the rest of the customer journey look like? What page were your leads sent to? You can use custom developed online presentation and marketing strategies to identify and successfully attract the exact customers you want. 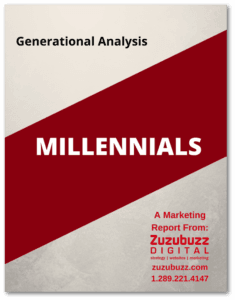 Zuzubuzz is a next-generation digital agency focused on increasing your revenues and decreasing the time you need to spend on your small to medium sized financial service company. It's not some new fly-by-night outfit, but a service based on 20+ years experience with tried and true processes to increase sales based on research, and marketing methods. Our services are not for financial service business owners who believe that online marketing isn't the premier technique essential to growth in today's marketplace. It is! It's not for the DIY business owner who thinks they can take all of this on alone. This is not for those who would rather spend all their time working rather than spending time looking after themselves, their family, or setting themselves up for their future. Knowing exactly who your primary customer is, learning about their needs and creating the solutions to ease their pain. Developing the strategy to ensure that you reach the clientele you want to get to using the technology they’re familiar with. An ongoing relationship that is focused on providing you with current research and ideas to increase and maintain success. We send monthly reports so we can determine what’s working, what isn’t, and what needs to be changed. You can be absolutely sure that your customers will be using a secure platform optimized for all devices. YES! We’ll give you the one thing you need to do NOW to get yourself re-positioned onto the road to success! In Short... A Comprehensive Business Strategy! We can't tell you what investment you will need to make until we fully understand the requirements of your situation. Our process begins with a series of rigorous and thorough discovery sessions to provide you with a solid plan to go forward. How long and where are the meetings? All meetings are held online. We know your time is precious, so we can work with you from the comfort of your own office. All you need is a camera and a decent headset or video conferencing equipment so that we can do all meetings via video-conference. During the discovery sessions, we uncover not only the needs and goals of you and your company, but more importantly those of your customers and the pains you heal. After all, they are the people who will benefit from your products and services, right? The time you need to invest will be about 6 hours during discovery sessions. Once the plan is in place and the project underway, we will schedule a weekly call with you to make sure that everything is on track and progressing properly. If deliverables (such as pre-made copy or images) are to be provided by you, then you will obviously have to spend the time necessary to do so. Ask us on our Private and Secure Facebook Page! Request FREE Facebook Page Access! I'm a husband and a father of two. I'm also a geek and a life-long entrepreneur, online since 1994. I've had my share of ups and downs over the years. Some ventures were successful while others not so much. Either way, I learned from my experiences. Whether in real estate, securities, credit reporting, human resources, or running other marketing ventures, I've always been somehow connected to the consumer financial services industry. I've faced many of the same struggles you may face now, but I've learned that there are ways to increase your profits while also increasing the time you get to spend on other things. In short, I've learned how to attract more clients in less time and with less effort in order to be able to enjoy business and family and live life again! Not quite ready yet? Here's a Free Download that can help immediately! © Zuzubuzz - All Rights Reserved.